Photo from the Scott Expedition. Starting this month, three ambitious expeditions will attempt to set new records on the white continent — a speed record to the South Pole, a bicycle ride to the South Pole, and the longest unsupported polar expedition. British adventurers Ben Saunders and Tarka L’Herpiniere have already begun their attempt to retrace the route of Captain Robert Falcon Scott’s fatal Terra Nova expedition of 1912. More than a hundred years ago, the British explorer and his team arrived at the South Pole five weeks after a Norwegian team became the first men to reach the pole, and then perished on the perilous return journey. 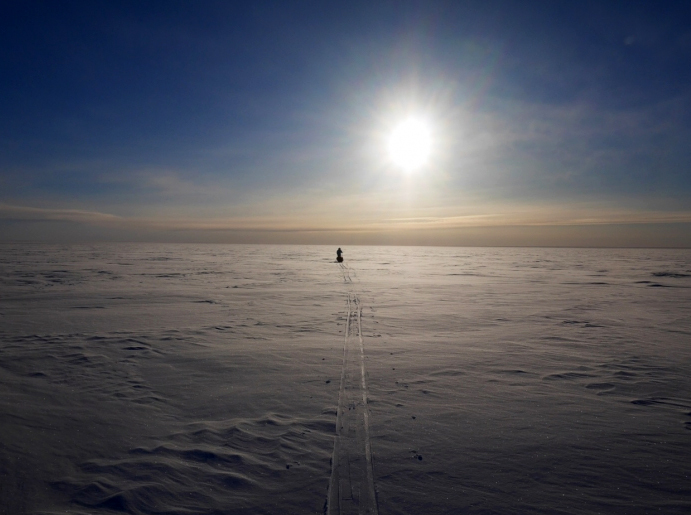 Since then, no one has yet completed Scott’s 1,800-mile route from Ross Island to the South Pole and back, and the journey is as yet unfinished. Saunders and L’Herpiniere are attempting the expedition entirely unsupported, in the tradition of pioneering Antarctic expeditions. The men expect the journey to take four months, and are hauling sledges with 440 pounds of food, fuel, and supplies to last for the duration. 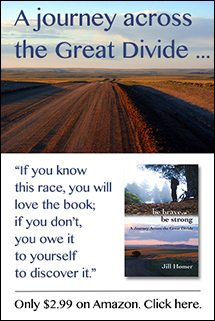 It’s an ambitious undertaking, and the weight of the sledges has proved to be an issue. After the men left Cape Evans on Oct. 25, they covered less than 30 miles over three days of intense physical labor. Saunders wrote that while their spirits are still in tact, they can feel the effort in their muscles, tendons, toes, and heels. The men are hoping that they’ll develop better conditioning and a stronger pace as they move south, and the sledges will become a few pounds lighter every day. However, they face a number of unknowns, including how well they can continue to perform on a calorie-deficient diet for four months, and how weather conditions will impact their progress with such heavy loads. Late spring weather has been favorable so far, with temperatures around 20 to 30 below C and light (for Antarctica) winds. Saunders and L’Herpiniere will soon have to increase their daily mileage in order to stay ahead of their dwindling supplies and the Antarctic winter. Expedition updates will continue to be available at their Web site. In mid-November, British adventurer Richard Parks will set out to challenge the fastest trip to the South Pole, established by Norwegian Christian Eide in January 2011 at 24 days, 1 hour and 13 minutes, an average of 47 kilometers (29 miles) per day. Park will ski solo and unsupported, pulling everything he needs on a sled. He plans to travel the standard route from Hercules Inlet on the geographical coastline of Antarctica, and hopes to complete the 1,150-kilometer (715 mile) journey in 23 days. 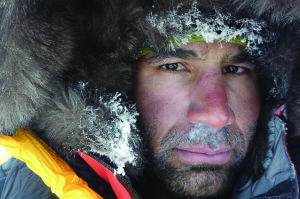 Follow his expedition at http://www.richardparks.co.uk. 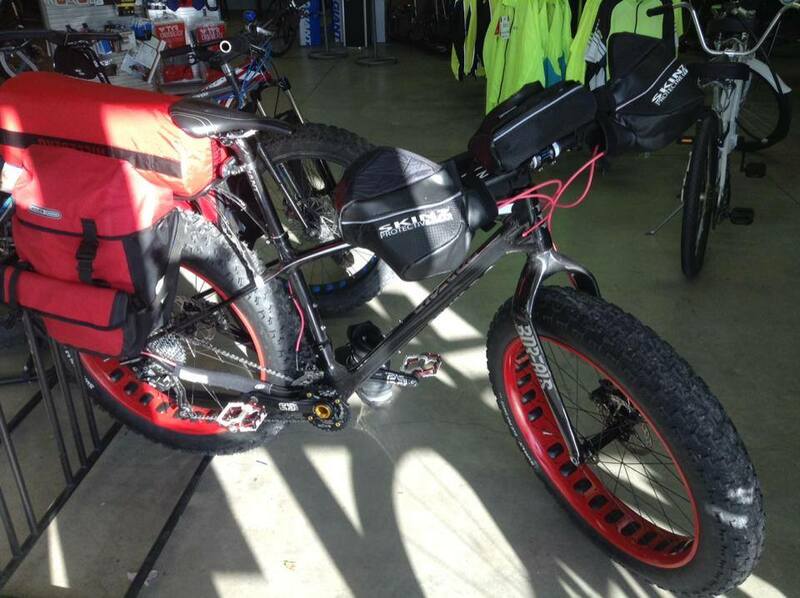 Specialized Borealis fat bike loaded for an Antarctic expedition. From the South Pole Epic. Also in mid-November, a Utah bike shop owner will begin a solo attempt to ride a bicycle from the Antarctic coast to the South Pole, which has been attempted at least twice in recent years without success. Daniel Burton plans to attempt his partly self-funded expedition with a Borealis fat bike, built with special adaptations to extreme cold and wind, and utilizing both a pulk and panniers to haul supplies. If Burton is successful, he would be the first person to ride a bike the entire distance to the South Pole. Both Parks’ and Burton’s route will begin at the Hercules Inlet, using the classic 700-mile route to the pole. Burton, a former computer programmer who is now a small business owner of Epic Biking in Utah, says his aim for the journey is to inspire others to discover the joys of riding bicycles and become more active. He came up with the idea about a year ago, when he acquired a set of Surly Moonlander fat bikes for his shop and started exploring the mountains and frozen lakes near his home. He’s relatively inexperienced compared to the others, with a shorter planning period for his expedition and no prior polar experience. He hopes to wrap up the journey in just under two months. Updates are available at http://epicsouthpole.blogspot.com. Thanks for the story, Jill. When fatbikes came out a few years ago I thought they’d be perfect for the first bike ride to the south pole. Jim Burton is on it!